Ji-Hoon (Joo Sang-Wook), who is the leader of Special Affairs Team TEN, has suddenly disappeared. The other members of Team TEN, Do-Sik (Kim Sang-Ho), Ye-Ri (Jo An) and Min-Ho (Choi Woo-Sik) are confused by the situation, but they soon find a message which explains Ji-Hoon's intentions. 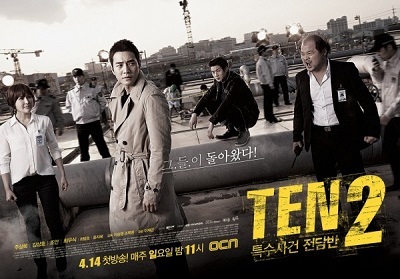 The members of TEN team chase after the traces of a serial killer known as "murderer F". As they get closer to murderer F, they are in for an unexpected shock.